Ever since the public became aware Lupe Fiasco’s punk rock band, Japanese Cartoon, fans of the rapper have patiently waited to hear an album from the collective, which consists of Lupe, bassist Graham Burris, keyboardist Matt Nelson, and producer Le Messie. The fans got their wish when the group release the EP In The Jaws of The Lords of Death in July. 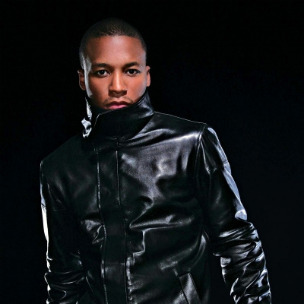 Speaking recently to Complex, Lupe provided a track-by-track breakdown of the release, which consists of nine tracks. Speaking on the EP’s opener, “Jaws,” Lupe explained the project’s unusual name. “The title In The Jaws of The Lords of Death comes from [my friend] from the clothing brand Maharishi. He mentioned some Buddhist warrior monks who wear these red collars with teeth—not real teeth—embroidered into them. That represents that they’re living in the jaws of the Lords of Death and any day [the Lords of Death] can chew them up and swallow them. So they live every day to the fullest with death on their backs. “The track was kind of like a biography of what we were trying to say, what the band represented, and some of the topics we were talking on. It’s very general,” said Lupe of the cut itself.